It happens all of the time. Our schedules suddenly become busier and it feels like we do not have time for anything. When I’m busy, I will not cleanse or condition my hair. Why? When I am busy and try to squeeze in time for my hair, it never ends well. I usually find myself rushing while handling and detangling my hair, and this can cause breakage. I also find that my styling is not as polished. I do not evenly distribute product throughout my hair and I borrow other sections of the hair while twisting. As result, my hair does not look good the next day, so instead of washing my hair when I do not have the time for it, I do the following instead. If I do not schedule time to wash and condition my hair within a full schedule, I will end up with a dry and tangled mess. In addition, waiting for an extended period of time will cause my session to be longer due to the amount of tangles and buildup. I will schedule a time for wash day and make sure nothing gets in the way of it. Washing and styling my hair is part of my self-care routine, which is essential for me. Protective styling makes managing my hair easier when my schedule is busy. 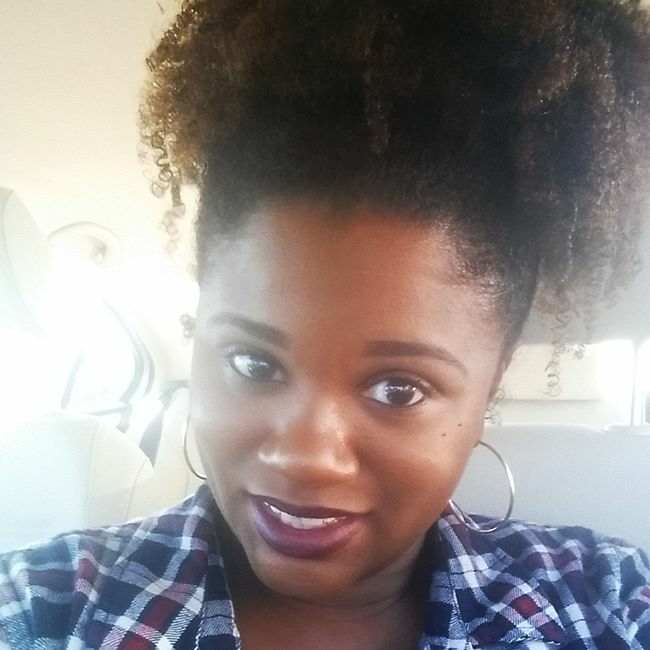 I like to style my hair in my favorite protective styles including buns, puffs, and twists. I choose these styles, because I will not have to style my hair as often. In addition, I prefer wearing these styles over a loose style because I will not have to re-twist my hair or worry about lack of definition. This allows me to head to bed a few minutes earlier and catch a few more z’s. I refresh my hair with water, leave-in conditioner, and oil while my curls are in a protective style. This allows my hair to maintain its moisture and health even though I am too busy to wash it. I also make sure I use my satin pillowcase and satin bonnet to maintain my protective style. This prevents me from re-styling my hair and any overmanipulation. Another bonus is that I can head out the house faster since my hair is already styled, polished, and good to go! It is so easy to get caught up in your busy schedule, but remember that it is important to take time to care for yourself and your curls. Whether it is squeezing a wash day or styling your hair in a cute style from your favorite blogger, taking the extra time to care for yourself is essential. Trust me, you will feel so much better and it may even help you knock off a few extra things on your to-do list. How do you maintain your curls when life happens? Please share with the curly community.